Planning a trip by plane can be stressful and time-consuming enough without the extra chore of finding parking at the last minute at the airport. Newark Airport alone has four separate levels of parking for fliers, all charging different rates for hourly, daily and long-term parking. Jiffy Airport Parking makes your trip planning a bit easier by providing simple, always-available offsite parking for the Newark Airport. At our parking facility — located on Haynes Avenue, immediately adjacent to Newark Liberty International Airport — you’re sure to find parking when you’re in a hurry. You can even call ahead to reserve your spot weeks in advance and save even more time on the day of your flight. With all the things you have to consider when you’re planning a trip, parking should be the simplest of them all. Arranging daily or long-term parking at Newark Liberty International Airport can be that simple if you reserve a spot for yourself at Jiffy Airport Parking in advance. When you pull into Jiffy’s lot, which is conveniently located near the entrance to the airport — closer to the terminals than some onsite parking areas — you can head straight to your reserved parking space and be on your way. Frequent shuttle service ensures you never have to wait long when you’re in a hurry to catch your flight. Offsite airport parking at Jiffy can be faster and more affordable than paying for a spot on the airport grounds. Our large lot size practically guarantees there’s an open spot you can take, even if you’re flying on the spur of the moment and haven’t made preparations in advance. We also offer single- and multi-day parking packages that are competitively priced with both onsite parking and nearby hotel parking at Newark Liberty. If you’re planning a trip from Newark Liberty International Airport, there’s no better choice for offsite airport parking than Jiffy Airport Parking on Haynes Avenue. Save money and guarantee yourself an open slot by calling ahead at (973) 242-0999, or you can book a reservation online using our convenient online form. 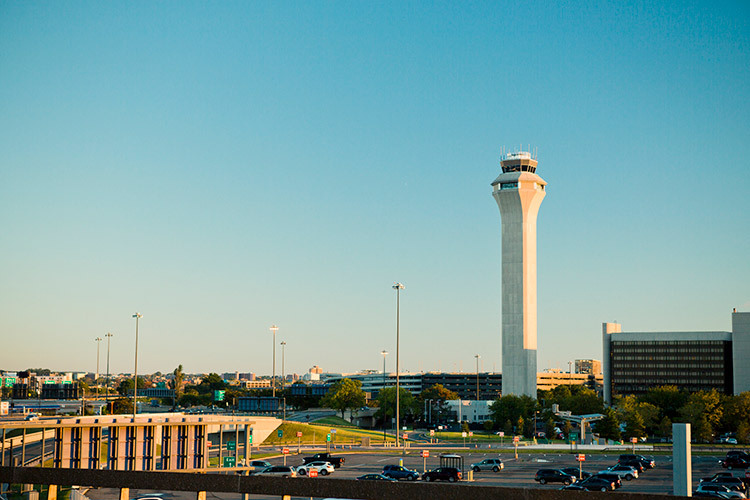 Don’t add extra tasks to the morning of your flight — schedule your long-term offsite airport parking with Jiffy today.